Accreditation helps to ensure that practitioners are appropriately qualified and work to recognised standards of professional competence. Accreditation also assures the client that the practitioner will work within an agreed ethical framework and code of practice. Formal recognition of your qualifications and experience through our accreditation process. Accredited Members are entitled to use MIACP after their name. Client referral: The IACP telephone referral service is a service to the public that provides a link between those who are seeking counselling / psychotherapy and our Accredited members. Online directory Listing: Accredited members are listed on the IACP website in the ‘Directory of Accredited Members’. Representation: The IACP champions the contribution of Counsellors, Psychotherapists and the profession. We strongly lobby (Government, Political parties, Department of Health and Children, Health Committee’s, Allied Health Professions and other National Bodies) on key issues and priorities. The central aim of the Statutory Regulation of Counselling and Psychotherapy forms a large part of this work. We also influence policy development and plans through Responses and Submissions. Continuing Professional Development (Free Members Seminars): IACP provide a number of free seminars and webinars for members annually. 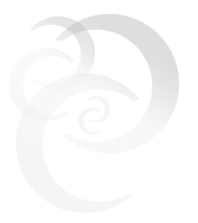 Publicity: One of IACP’s main aims is to inform the public of the benefits of Counselling and Psychotherapy. We do this through our public relations and communications strategy which concentrates on attendance at public events, press releases, interaction with the media and direct advertising. All of our communications work highlights the importance of Professional Standards and the services that IACP and its members offer the public. Quarterly Journal: The IACP journal 'the Irish Journal of Counselling & Psychotherapy' including articles, ‘Notice Board’ and Advertising is sent to members four times a year. Attendance at AGM: The AGM is a good opportunity for you to ensure that you are fully informed of current policies, standards and activities. It is also a great opportunity to network with colleagues and fellow members. Reduced rate to attend the IACP Annual Conference: The new annual conference is a great opportunity to meet other members, to hear keynote speakers, attend the Gala Dinner with Carl Berkeley Memorial Award and take part in different Counselling & Psychotherapy workshops. Awards: Members are eligible for nomination for Carl Berkeley Memorial Award that recognise outstanding contribution to the development of counselling and psychotherapy. Professional Support on Standards of Practice and Education: IACP assists with all types of member enquiries. Members can access a range of support from the office, and can receive information (by speaking to someone, viewing online or by receiving printed guidelines) on practical, ethical and professional matters. Members can also access IACP publications ranging from the latest professional guidelines to public information leaflets. Education: IACP assists with all types of member enquiries and puts you in touch with the right experts. Members can access a range of information from the office, and can receive information (by speaking to someone, viewing online or by receiving printed guidelines) on practical, ethical and professional matters. Members can also access IACP publications ranging from the latest professional guidelines to public information leaflets. E-news: Regular e-mail circular containing information and employment / placement opportunities. Reduced Professional Insurance: IACP negotiated professional indemnity insurance schemes. O’Brien Finlay: Qualified Therapist - €75 discount, Students - €160 discount. Contact for OBF: (01) 660 1033. Regional Support: Support and networking opportunities at regular Regional meetings nationwide. Regional Participation: All members are also automatically members of their Regional branch and can network with local colleagues and help influence the Association’s priorities. Reduced Rate Health Insurance: IACP members can avail of a VHI Group Scheme (please quote the reference number 4375) and there are various discounts (minimum of 10%) depending on the scheme selected. 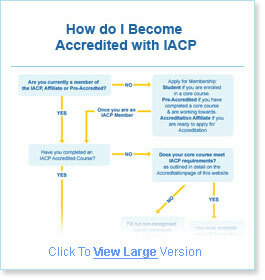 IACP Logo: Accredited Members have use of the IACP logo on their promotional material and website. Involvement: Members can influence IACP policy and development by participation on IACP’s sub-committees and panels. Accredited Members also have the opportunity to vote in (or stand for election in) Executive, Sub-Committee and Regional elections. International Representation: The IACP represents members’ views internationally and continues to work with the European Association for Counselling (EAC), the International Association for Counselling, Counselling in Scotland (COSACA), American Counselling Association (ACA), Canadian Counselling and Psychotherapy Association (CCPA) and many others. International Recognition: The IACP members are also automatically entitled to become European accredited (EAC) Counsellors by joining EAC. BACP agreement: The IACP has an agreement with BACP for fully accredited IACP members (subject to being a Registered Member of BACP) around recognition of accreditation status. Welcome Pack: On joining members receive a “Welcome Pack” including a recent edition of the IACP quarterly journal, "Éisteach”, Important company information and an IACP pen. IACP Membership Card: The IACP Membership card in conjunction with Countdown Ireland offers IACP members not only official recognition of their IACP membership but also the ability to benefit from a wide range of deals nationwide (effective from June 2015).